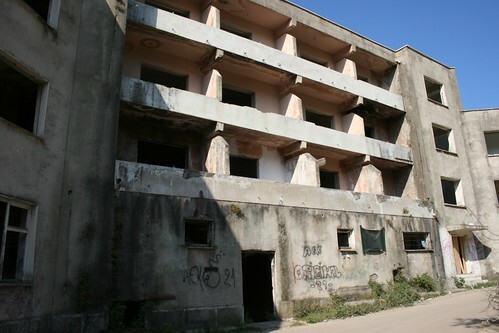 Abandoned Hotel, Dhermi, originally uploaded by jhoolko. While most of the photos I have of Albania are of pretty beaches, weird bugs, and delicious food, there were other slightly less pleasant things about the country that we noticed during our visit. Albania isn’t rich. There is a lot of nice coastline that developers are quickly taking advantage of and Tirana is suspiciously full of lots of very nice cars, but the moment you step out of the airport it is evident that you’re not in France or Spain or even Croatia anymore. Things are dirty, wires are hanging everywhere, nobody wears helmets on their motorcycles….it’s different than anywhere else I’ve been in Europe. Not even McDonald’s has penetrated into this weird, wonderful little country yet, and the total lack of any familiar stores, restaurants, or markets gives it an even more decidedly foreign feel. A lot of this comes from the fact that the country was basically in a Communist-dictatorship choke hold until the death of its paranoid leader Enver Hoxha in 1985. That’s the guy that put up the 700,000 concrete bunkers that dot the countryside, just in case of any attacks from the U.S. or England or any of our other buddies during the post-war era when communist Albania was closely allied with the Soviet Union. Until 1990, Albanians couldn’t leave the country or drive cars, and pretty much no one was allowed to come in, so they were almost completely cut off from the rest of the world and even within their own country weren’t very mobile. The fact that no one in the entire country was driving before the 90s (and many started way later than that) is extremely evident in the severe lack of infrastructure in the transportation department and absolutely freaking crazy cliff-hanging, winding, twisting, unpaved, donkey and goat-filled roads that more than once caused me to say a little prayer on our way down the coast. Great views, though. Anyways, Albania’s history is a mess. There was a history section in the Bradt guidebook I bought in Madrid (which I guess I recommend, though I was not totally thrilled by it) and it took me like 50 attempts to get through it because it was basically 25 pages of…”this guy ruled for like 5 years, then he got killed and other people came in, then this group took over, then they were sacked by these guys blah blah blah….” The people never get a break. They even had a king at one point named ZOG. He was shot in Parliament in 1923, supposedly survived at least 55 assassination attempts, even shooting back at one gunman with a pistol he always carried (making him the only modern head of state to engage in uh, battle? with an assassin), went into forced exile in 1924, lived in the Ritz in London for a while, hung out in Egypt, bought a house in New York, and finally died in France in 1961. He was evidently a pretty good leader, eliminating things like serfdom and animal cruelty and getting Albania going as a nation in a way that hadn’t really been seen before, but I feel like his time as kind/president/prime minister (oh yes, he was all three), really provides a snapshot of the kind of turmoil that poor Albania has found itself in more than once during the last couple centuries. Anyways, more recently than Zog (who despite the decidedly ancient sounding moniker was actually a pretty recent leader), Albania was recovering from its repressive dictator Hoxha. In 1992 they elected in their first non-Communist government, but it turned out to not be such a smooth transition. A big crisis hit in 1997 when the country’s economy, which was basically built on Ponzi schemes, failed, taking out the savings of about 2/3 of Albanians. The people went crazy. They rioted for months throughout the country, staged forceful takeovers of pretty much all of the big cities in Albania that we visited and overthrew the military. They hijacked navy boats and tried to escape to Italy, they grabbed an estimated 650,000 weapons from the government, and they basically burned the mother down. I think I probably would have been angry, too. Seriously everything at that point was state owned or at least closely associated with the government in the public’s eye since they were so freshly out of Communism, so they burned a lot of stuff, including hotels which were mainly simple family affairs built by the communists that catered either to workers or party members. And I swear some of those charred buildings are still hanging around Albania’s resort-ier areas, like the one in the picture, in Dhermi. It’s hard to say because there are a million other reasons that so many shells of buildings could have been left about, especially considering that it’s been 13 years since the riots, but every time I passed one of those super socialist realism style buildings with all its windows missing and black burn marks all over it (and there are a lot of them), I couldn’t help but think that it was some abandoned relic from this country’s serious bummer of a history. Now it could be something entirely different, like the post-apocalyptic, post-war, post-earthquake-looking town of Ksamili, but that is for another post. Anyways, the riots ended after about 8 months in August of 1997 when the UN sent in an international protection force led by the Italians. But honestly Albania still has its problems. The perilous roads and the city of Ksamili I will get into later, but they even have blood feuds. Like, Romeo and Juliet, “Hello. My name is Inigo Montoya. You killed my father. Prepare to die” type blood feuds. In 2008 the New York Times reported that 10,000 people had been victim to the feuds since 1991, when the ban on them went out with the communists. Evidently it’s more common in the very isolated north, which is probably why so many people told us to stay the hell away from there unless we had an experienced Albanian guide. They are the kind of social problems that I can not even begin to fathom, but also the things that made Albania so incredibly interesting. Despite them all I already want to go back, and when I do I am totally getting a guide and going north. So now that I am leaving Baeza, I realize that I have not done it justice in any way, especially in how I have described it to family and friends, and I want to make note of a few things about the town that really are just remarkable. Compared to La Puerta de Segura and its 2,600 residents, Baeza feels huge, but in reality, it’s really a very small place. With only about 16,000 inhabitants and with Úbeda (population 30,000) as its only close neighbor, Baeza has an incredibly sheltered and somewhat isolated feel to it. Add to that the fact that it is perched on the edge of a cliff surrounded by miles of olive orchards and enclosed by the snowy peaks of the Cazorla and Sierra Magina mountain ranges, and it is incredibly easy to forget about the outside world and get caught up in the magic of Baeza’s oldness. The town is a radiant example of some of Spain’s finest Italian-Renaissance architecture, and if it were not for the bi-weekly bus rides I take out of here and the hundreds of compact cars that litter the streets, I would really feel like I had stepped back in time. One of the most incredible parts of the city is the old center, whose name should in no way imply that the rest of the town is not old. Everything in Baeza is old, but the area with the greatest concentration of monuments (cathedral, ayuntamiento, etc) is so perfectly preserved and was so well designed that in 2003, it, along with the old center of Úbeda, was declared a UNESCO world heritage site. 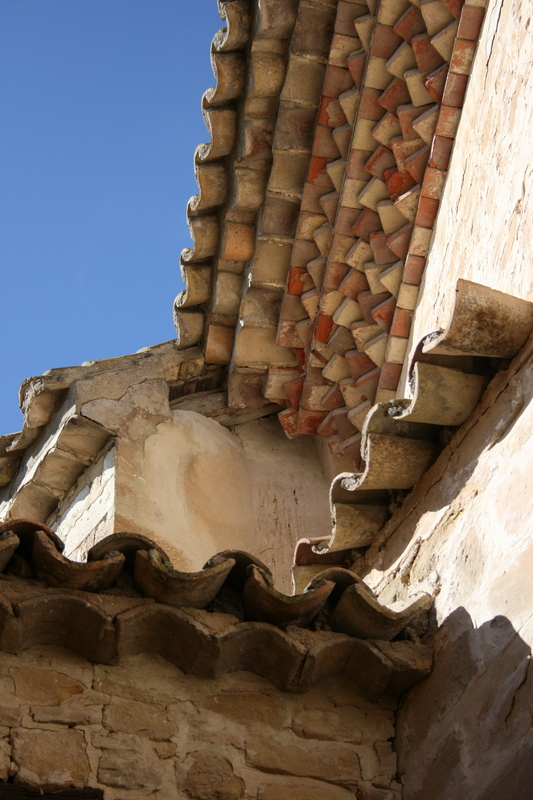 Baeza’s preservation and its status as one of the finest examples of Renaissance architecture in all of Spain is due to a string of historical successes and failures. Baeza, first known as Biatia or Beatia, has existed in some form since Roman times, maybe even earlier. But things really picked up for Baeza when the Muslims took over in the eighth century, renaming the place Bayyasa. At that time there were supposedly about 50,000 people inhabiting the city; over three times the number that now live here. But of course, the town was taken back by Catholic Spain in 1227 as one of the earliests victories for the crown in the southern region of the peninsula (then known as Al-Andalus, which is where Andalucía comes from), preceding Cordoba in 1236, Sevilla in 1248, and finally, the stronghold of the Kingdom of Granada in 1492. When I think of 1492 my mind unavoidably goes to Columbus and that Spain, and I think it is so interesting that Granada was still a Muslim kingdom that very same year. Anyways, Baeza was in a pretty important position being on the front lines of the advancing Ferdinand III and his like-minded successors, and the fact that it was perched on a cliff overlooking a large flat plain surrounded by perilous mountains made it a rather strategic post for the forward-marching Castilians. Of course, most of that past history was wiped out, with the exception of a few fragments of the Moorish city wall and a gate or two. 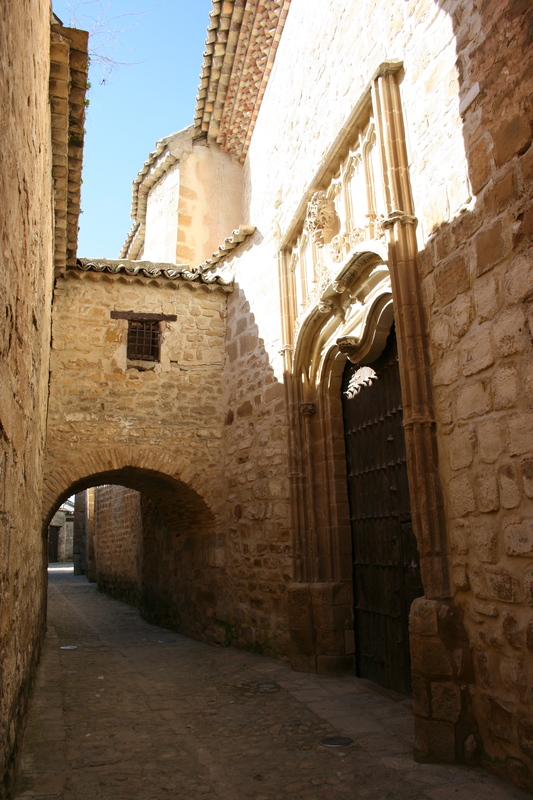 What got UNESCO’s attention was the stuff that was built in Baeza’s second little golden age. 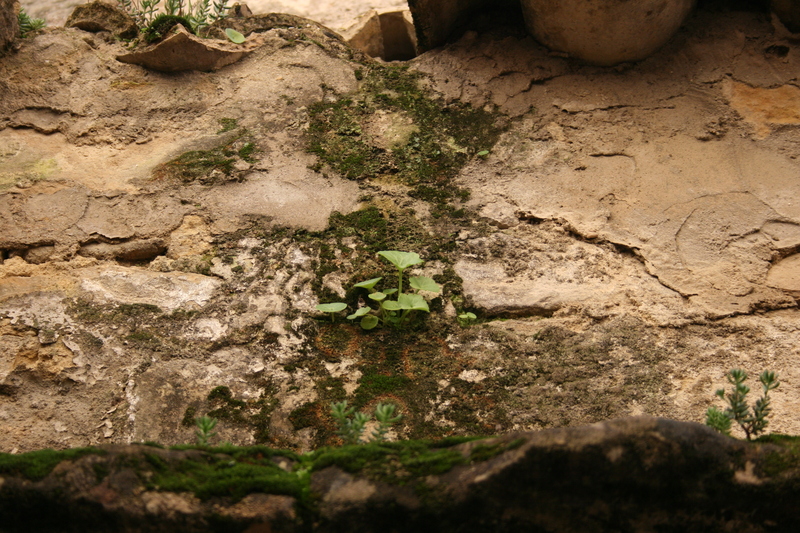 In the 16th century, the people living in Baeza got rich. Way rich. They made textiles, and for one reason or another, they made them really well. The families all lived in palaces, which are still standing all around the city, and they supposedly had some pretty crazy feuds among themselves. Anyways, these rich people wanted really, really nice palaces, churches, and fountains and stuff, so they hired an architect who had trained in Italy named Andrés de Vandelvira, and it turns out that he was great at his job. He ended up creating two beautiful, excellently planned cities in Úbeda and Baeza, as well as a really nice (actually shockingly nice considering the rest of the city) cathedral in Jaén. Baeza feels very clean, bright, and golden compared to other Spanish cities that I’ve been to, and I mean that in a strictly architectural sense. If you read about Baeza, you will read everywhere that it feels more like Italy than Spain, and it’s true (if you’re just considering the buildings, of course). When the weather is warm the stones seriously radiate gold. It looks like everything in the city is warm to the touch when the sun hits it. At night, the fog rolls in around the tower of the cathedral, the bats come out, and things get creepy. Like, I-feel-like-I-might-get-the-plague creepy. It doesn’t help that there are several people that travel by horse and/or carriage on a regular basis around town. 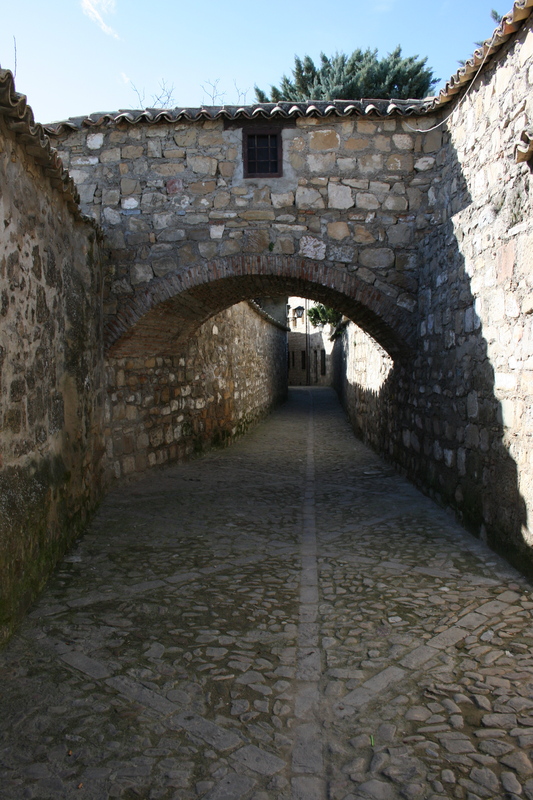 Hearing the he sound of hooves on cobblestones is sure to make you feel like you are in the 16th century in this town. That is, until a Fiat hatchback driven by a guy with a mullet and plucked eyebrows blasting Pitbull out his open windows drives by after the horse. Happens. Well, the 17th century brought about the collapse of the textile industry in Baeza and the golden age was over. So was the building boom. At the time, I am sure that sucked, but it worked out well for us today because that is precisely what kept the town so well preserved. No one had the money for new construction, so what buildings there are in the town today are all from the same era. Then the town seems to have jumped directly into the 1970s for a year or two, during which a smattering of hideous buildings were erected. Luckily, you don’t notice these too much. Which brings me to my point. The confusing and semi-scary streets around the cathedral. All of these photos were taken in the tiny little streets that wind around the backside of the cathedral. One section of these little roads is bordered by tall, windowless stone walls that extend straight up from the sides of the street. At intervals there are little bridges that are clearly made for moving from one side to the other , though you can’t tell where the bridges come from or go because you can’t see over the walls. The pictures below show the little bridges I am talking about. It honestly seems like they were made so that people (who, I do not know) could move around the different properties of the church without having to leave the grounds and enter the street. There is no explanation for them anywhere, and most of the surrounding areas that are enclosed by the walls seem to be undergoing some kind of continuous restoration, which is probably bureaucratically delayed in an attempt to keep things in line for the UNESCO status that they absolutely adore here. It’s a mystery that I would like to solve. Or maybe not. One of the other auxiliars heard a cryptic, poorly translated explanation that involved Opus Dei, and since that is exactly the type of explanation I want to find for these little secret-looking passages, I have decided not to look into it further. Instead, I will keep it a mystery so that whatever boring, quotidian, explanation that might exist never ruins the magic for me. So if you know what they are, don’t tell me! Unless it’s exciting and magical, of course.